Since Valentine’s Day is in two weeks, it’s time to prepare. What better way to enrich kids’ Valentines in school, than to do a heart motif that fits the toys they like to play with and cartoons they like to watch. 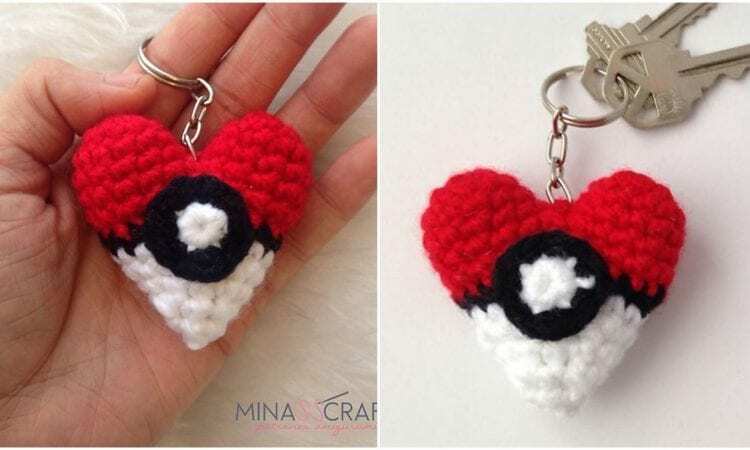 This softie is a cute amalgamation of a heart and a pokeball. It’s easy to make and can use up some yarn ends, because of its small size. A link the free pattern is at the end of the post.